Clearly a 4 and 5 record after nine games in with a four game losing streak still in progress was not in the plan. The Steelers are reeling after a heart breaker vs. the Dallas Cowboys. This week brings the Cleveland Browns, and we’ll see just how much road rust Ben Roethlisberger has. But before we get to that, this corner of Steelers Nation must resolve these 5 Smoldering Questions on the Pittsburgh Steelers. 1. After the game, Dale Lolley suggested that the Steelers may have finally hit rock bottom. Do you feel that will be the case, or do you fear that thing will continue to get worse before they get better? 2. Much has been made of Ben Roethlisberger’s assertion that the Steelers need more accountability and more discipline. Much has also been made of the report that he communicated similar feelings to Mike Tomlin prior to practicing last week. Do you smell dissension in the ranks? 3. Ezekiel Elliot is clearly the real deal—a player who could breathe new life into the rapidly antiquating concept of “Franchise Running Back.” Nonetheless, he ran for three touchdowns, one in the air and two on the ground, while scarcely being touched by a Steelers defender. When that happens, something is clearly amiss with a defense. Does the root of the issue lie in the coaching or the personnel? 4. The Ben Roethlisberger to Antonio Brown fake spike turned touchdown appeared to be just the sucker punch the Steelers needed. However, we know what happened next. Do you think it was a mistake to call that play or should the Steelers have run more time off the clock? 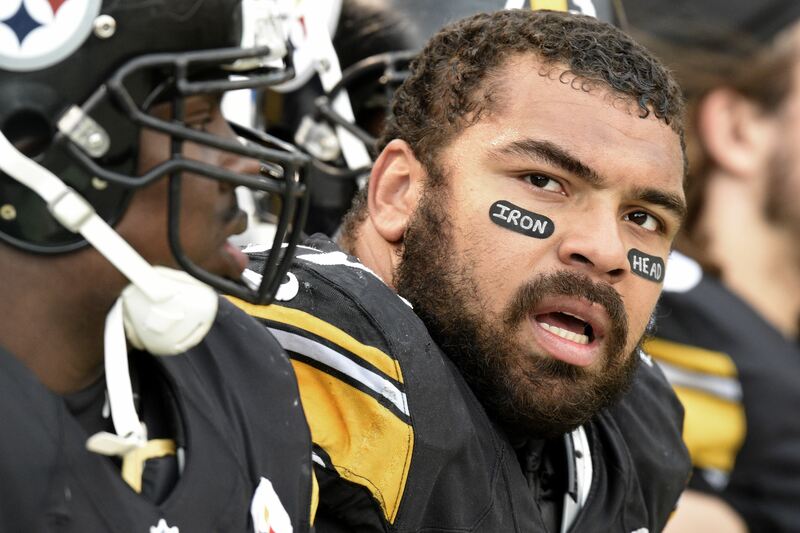 Seriously, take a moment to assess the impact of Cameron Heyward’s loss. If there is anyone out there who manages to salvage a silver lining, your optimism will be greatly appreciated. Do share it! There you go folks, have at it! 1. Losing to the Browns would be rock bottom. I am not counting that possibility out. 2. I don’t believe crap that the NFL network reports on the Steelers. 3. Both. Butler supposedly simplifies the scheme so younger guys could pick it up faster and not have to ride the pine for 3 years. Well, young guys are seeing the field earlier, but they still aren’t getting it done. 5. Just insult on top of injury. 2. I don’t think it is dissension. I think it is Ben feeling desperate to win another Super Bowl while he can. 3. Yes. But seriously, I’m quite sure the guys aren’t being coached to leave their gaps or hit guy’s out of bounds or all the other stuff that hurt them on Sunday. I think it’s a combination of the relative youth of the defense and having critical guys injured or missing. Or just not playing well. 4. Again, I’m with Bill. I didn’t have any reason to believe the Steelers could stop the Cowboys offense for 42 seconds, and in the end they couldn’t. 5. I think I want to cry. Cam Heyward is one of my favorite Steelers, on and off the field, and the thought of the rest of the season without him is scary. If there’s any possible optimism to be found, and there isn’t much, it’s that it will provide an opportunity for guy’s like Javon Hargrave to really step up. If they can. That is the best I can do. 1. When I was a kid I used to throw stones down a mine shaft near my home. You could hear the stone bouncing and pinging all the way down and it took awhile before the stone hit bottom. I have watched and listened to every game this year and I think it took about 42 seconds last week for that stone to hit rock bottom for the Steelers. The mine shafts in Cleveland must be very, very deep. 2. I smell rookies, rookie mistakes and the stinking media(NFL Network). 3. Players make plays, like face masks;/ Coaches are supposed to put players in the best possible position to succeed. Maybe the defense did start to come together some but they played against a tremendously good O line last week.